Try not to panic, everyone, but the weekend is just around the corner. I've spent the last 3 going around all over Atlanta gaming (D&D one weekend, Guild Ball the next, and Drunk Quest (even though I didn't drink) the next). What sort of things have you been up to? And have you had cool gaming tables to play it all on? Who doesn't love a good-looking gaming table? 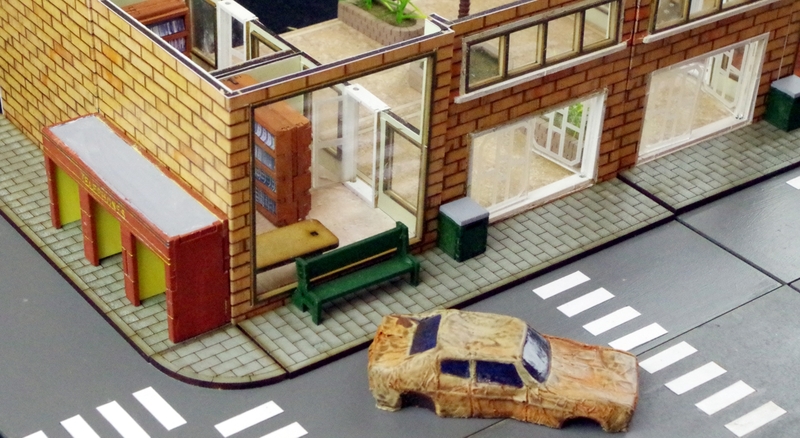 To help make sure yours look the best, here's another installment of the Terrain Corner. 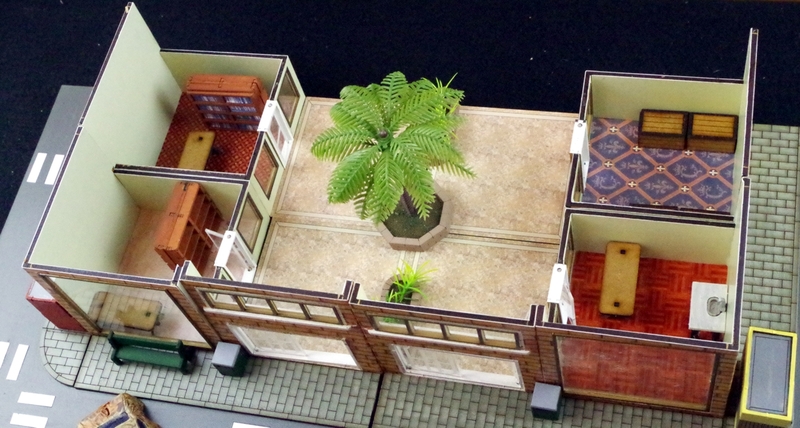 Today we have: Manorhouse Workshop Update #35 – “3D Bases – Modular Terrain” Kickstarter will be launched the 20th of June, New Medieval Crane from Thomarillion, Arid Plain: Pwork Wargames Fantasy Gaming Mat Now Available, New Modern 28mm Urban Shopping Mall Set from Sally 4th, and Deep-Cut Studio releases river tiles on mousepad material. We are finally happy to announce the date of the launch of our first Kickstarter! 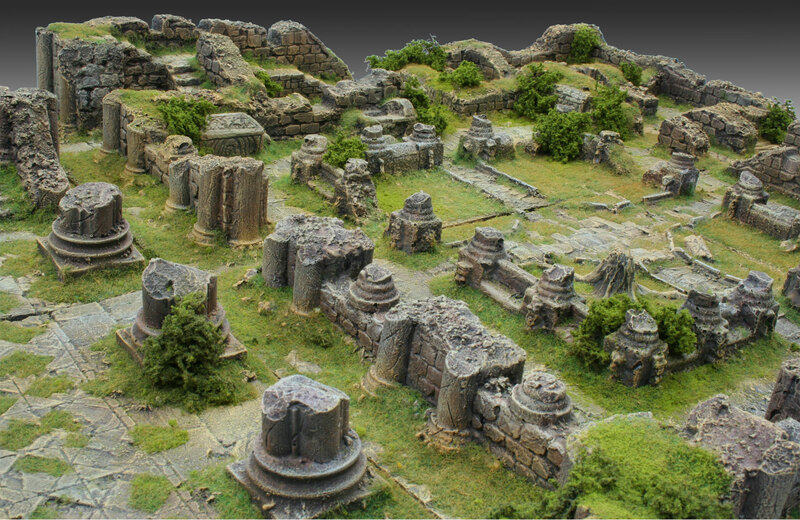 The “3D Bases – Modular Terrain” will be launched the 20th of June at 8pm Italy time (GMT+1), which is 2pm Eastern Time for the USA. It will end the 5th of July and will last 16 days. The biggest help we can get from all of you is to spread the word around the web and to your friends! 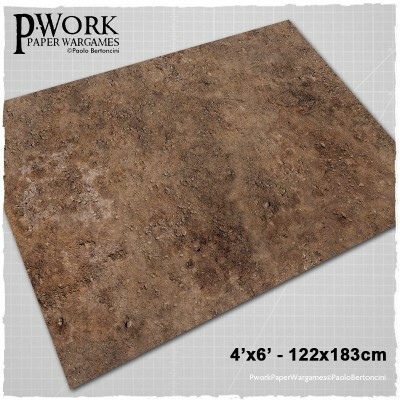 The Game Mat Arid Plain is a PVC or CLOTH made rollable terrain mat, ideal for wargames, in size 4x6’ (122x183cm), 4x4’ (122x122cm), 3x3’ (92x92cm), 3x6' (92x183cm), representing the scenery of a dry rocky plain, a barren and desolate landscape created by time and severe weather. 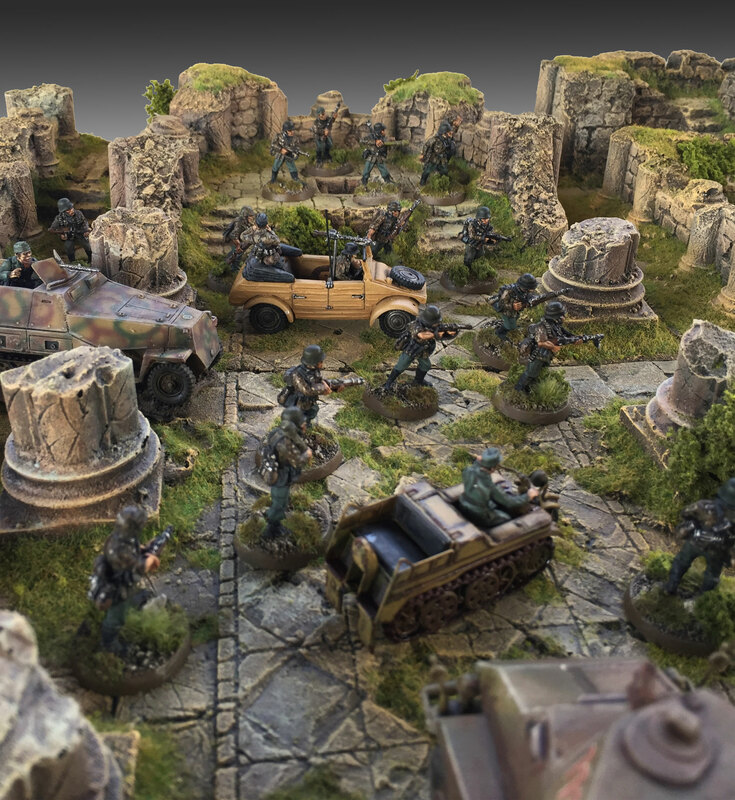 The Wargame Mat Arid Plain offers the possibility of setting battles between armies of miniatures on a bare land, whose soil is strewn with crumbled stone debris and where life doesn't seem to take root. 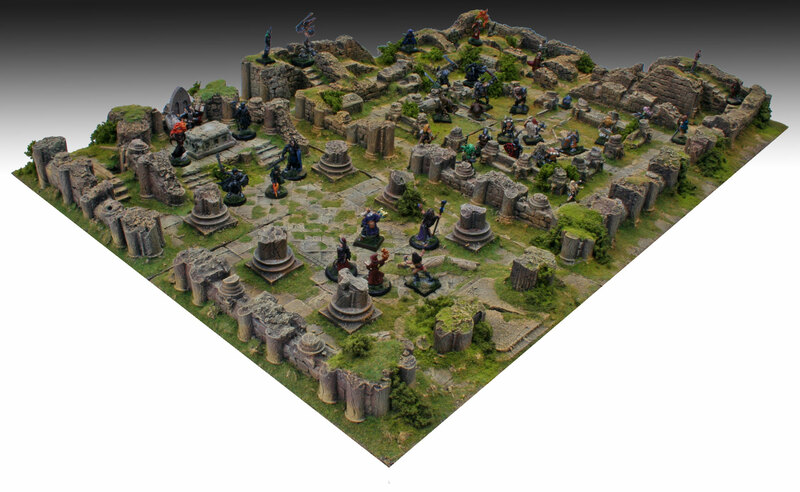 The mat is a perfect fantasy setting for large armies game play, and also ideal for historical settings or science-fiction fights! Are you ready to battle? 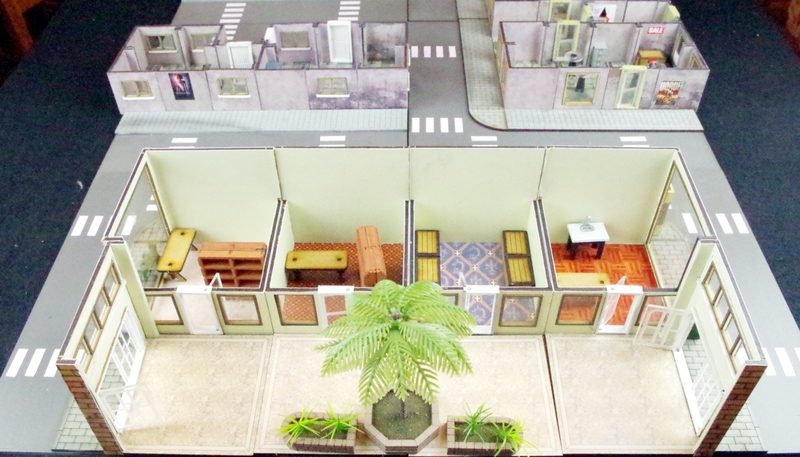 A first look at the Urban Block - Shopping Mall from Sally 4th. Contains 300mm x 300mm Base, Building blocks with glazed windows and opening doors and professionaly printed cover sheets with a choice of floor coverings for shops. Compatible with all off Terra-Block Range. 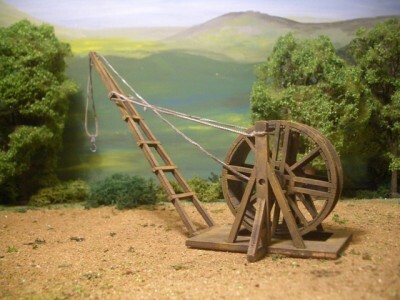 Ideal for skirmish gaming, postapocolypse, near future, steam punk, modern, zombie, pulp etc. 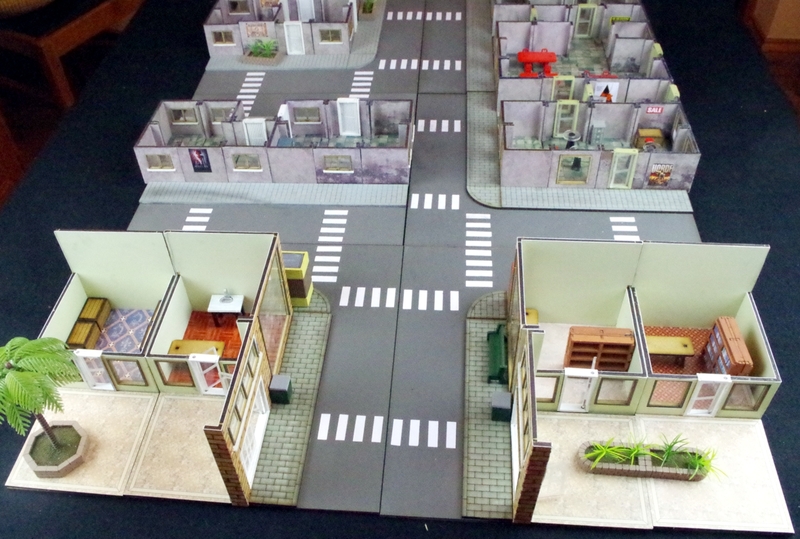 We have an additional three Shopping Mall Sets in design / prototyping which will be released over the next month. 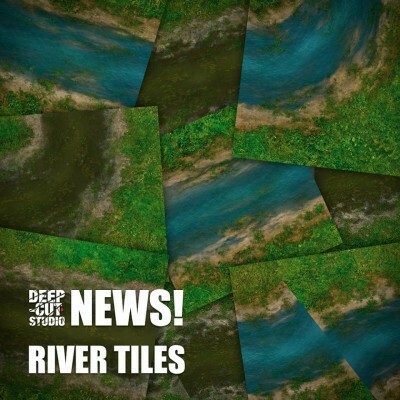 News announcement – new river tiles on mousepad material have become available on our website! 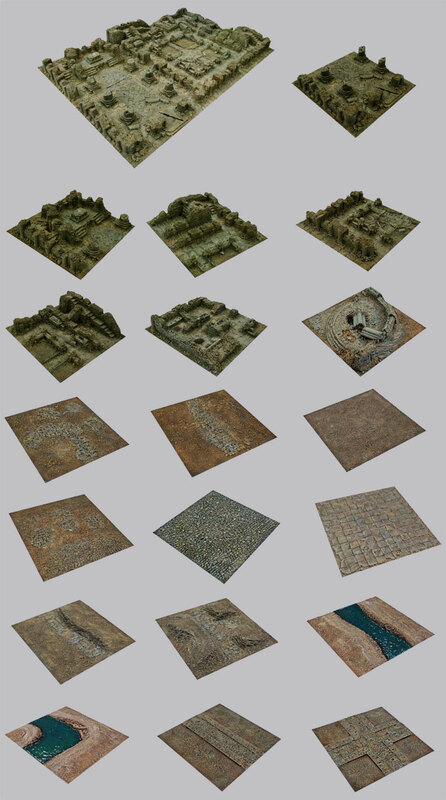 These modular tile sets, combined with impressive range of gaming mats, allow you to create even more different backgrounds for your miniature game battles. Unique design makes it easy to cut off the grassy background and use the tiles with any battleboard style or theme. Anyone up for a space river or cobblestone road on a spaceship?